I really don’t know many people who are excited for Jurassic World: Fallen Kingdom. There have been video essays explaining how the Jurassic movie series has failed to live up to the perfection of the first film. Now, I don’t think that every sequel needs to be a perfect film, but it doesn’t mean it has to be so poorly thought out. Even the hilarious “Alan” scene cannot save Jurassic World 3. We got some dope memes though. Still, with all the disappointments that were already being expected for the movie, i09 did the favor of sharing another one: erasing their token gay character’s sexuality from the narrative. The new character is Dr. Zia Rodriguez, an ex-Marine turned paleo-veterinarian, played by Daniella Pineda. Dr. Rodriguez is brought in with the team to help evacuate the dinosaurs from the island, which is about to explode because—for some reason—they built this park on top of a volcano. Sure, Jan. According to reviews of the film, it seems like Zia gets to be a very active heroine, which is a good thing. In bad news, we now know that at one point during the movie, she was supposed to confirm being a lesbian—except the part of a scene containing that dialogue was sliced from the final cut. I look at Chris [Pratt] and I’m like: ‘Yeah, square jaw, good bone structure, tall, muscles. I don’t date men, but if I did, it would be you. It would gross me out, but I’d do it.’ I love that I’m looking at Chris Pratt, the hottest guy in the world, and I’m like, ‘It would gross me out, but I guess I would do it!’ It was also cool, because it was a little insight into my character. But they cut it. Jurassic World: Fallen Kingdom joins many other films in the “gay on the press tour” faction that includes Solo, Thor: Ragnarok, and others. It’s really annoying that in 2018 (during Pride month no less) that the best creatives can think to do about including queer characters in their series is the old “if I were into dudes” line, which is so pointless that of course it gets cut. I mean, considering Zia is going to an island where all the dinosaurs are female, I’m sure a fun quip could have been made about that. With all the outrage that has been going on about this ongoing erasure, I’m hoping that Disney, Marvel, Universal, Warner Bros., et al are listening. We don’t want LGBTQ characters to only exist in “gay” movies, especially when they want to share with us Lando was pansexual after the fact. The fact that Deadpool 2 gave us the first MCU gay couple, while still not confirming that Wade is pansexual, is a reminder that it’s one step forward, two steps back. There is only so long Hollywood can keep blaming China for their choices. When it comes to portraying straight married couples with kids, TV and movie comedies leave a lot to be desired. Too often, women are presented as “do it all” supermoms, and husbands are presented as childlike buffoons, incapable of being responsible parents, more willing to be “fun” than to set limits on their kids. As a result, the moms come off as overbearing, but desperately necessary, and the dads come off as another one of the children (think Modern Family’s Claire and Phil Dunphy in their most broadly drawn moments). As a teacher of feminism and a straight working mom, I worry about balancing work and home life, about sharing the load with my husband, and about what kinds of messages these portrayals of parenting and marriage are sending to us and our kids about “the way things are.” I teach my students to critically analyze both the “Lean In” exhortations of Sheryl Sandberg and Ann-Marie Slaughter’s famous conclusion that women simply cannot “Have it All” and must learn to make sacrifices. Then, they go home and learn through television comedy that moms carry all of the mental load and that makes them slightly neurotic, while dads carry none of it, and are hopeless goofballs. As an antidote to this message, The Incredibles 2 stands out as a surprisingly nuanced treatise on the difficulties of balancing childrearing and a career, the strains it places on both partners, and also the joys it can bring even in the midst of strain. The Incredibles 2 gets it right. When Elastigirl goes back to work full-time, she assumes she is indispensible to the family. She worries about Violet navigating her blossoming adolescent social life, Dash’s academic struggles, and Jack Jack’s need for constant attention. We see her navigate a realistic and difficult choice: She wants to return to the career she finds so fulfilling, but she also wants to be there with her kids, for the trials and the joys of growing up. She assumes her husband cannot fulfill her role at home, and to the movie’s credit, she turns out to be wrong, and she acknowledges her mistake. Also to the movie’s credit, it never tries to portray her as a “do it all supermom,” even though she is a literal superhero. Instead, it shows her disappointed to have missed a crucial moment at home (“I missed Jack Jack’s first powers?”) and unable to be as present for her kids as she would like (“Mommy can’t talk right now, Dash,” as she’s flying through the streets on a superbike trying to stop a runaway train). She never gets “shrill” or “hysterical” or turns into one of the many familiar “mom” stereotypes. She’s good at her job and also loves and supports her children. Through her character, we see the realistic struggles a mother faces when returning to work, including the necessity of truly relying on her partner and trusting his competency as a parent. If Elastigirl is a huge improvement on comedy moms, Mr. Incredible is, as Violet so charmingly puts it, a “super” depiction of a dad. He is ambivalent at best about watching his wife head off to do hero work, something he, too, finds personally fulfilling, but he understands that, in this situation, he needs to step in and shoulder the domestic load for the good of the family and their marriage. As we watch him struggle with these new responsibilities, the film walks a beautifully fine line—it gives us plenty of comedy as he works to figure out his new role as primary parent, but it never shades into portraying him as an incompetent buffoon. Right from the start, he knows to feed his son the non-sugary cereal, he makes sure everyone’s backpack is packed for school, and he understands that each child needs a different kind of support and tries to offer them what they need. Best of all, like all real-life parents, he screws up sometimes. In one of the most realistic moments in the film, he tells one of the kids, “I’m used to knowing what to do,” but now admits that he isn’t sure. That, in my experience, is parenting in a nutshell. The film doesn’t leave him in this state of uncertainty, though. Instead, it shows him figuring out how to manage Dash’s math homework, apologizing to Violet when he screws up her love life, and—a crucial development in the presentation of TV parents in general—relying on others for support when he needs it. We see him longing to return to his career but also loving the time with his kids. He’s a great dad, he’s a great husband, and his children and his wife acknowledge that. The Incredibles 2 isn’t just fun, it’s important. It shows one extraordinary family navigating ordinary, everyday struggles, and it does so in a way that is realistic and balanced. It provides a more nuanced discussion of work-life balance and mental load, of parenting and marriage, than most of the seminal texts on this issue, and it’s laugh-out-loud funny. Becca Burnett teaches English, gender, and media studies by day and watches far too many super hero shows by night. She is the mother of two children whom she hopes to raise with the same critical, savvy, thoughtful outlook on life that she enjoys reading on The Mary Sue. Sasha Matthews, The Mary Sue’s favorite cartoonist, is an eighth-grader who uses her artwork to make a social impact. Now Sasha is wielding her pen to highlight the crisis of family separation at the border that has come about because of the Trump administration’s inhumane actions. You may remember Sasha from her previous project to raise money for the ACLU by drawing superheroes (she raised more than $10,000) and her picture-perfect response to Trump’s “both sides” commentary on the events in Charlottesville. Attention to Sasha’s mission has been growing: her free-speech activism saw her named to Crain’s New York 20 Under 20 and she was invited to speak at the ACLU’s conference in Washington, D.C.
Sasha has a new cartoon on the Trump administration’s hardline policy of separating children from their parents at the border. Her take is a brutal wordplay on Trump’s much-mocked claim in January 2018 that he is “a very stable genius.” Now he oversees stables full of detained children. You’ll recall that the President of the United States said of himself, “Actually, throughout my life, my two greatest assets have been mental stability and being, like, really smart. […] I went from VERY successful businessman, to top T.V. Star to President of the United States (on my first try). I think that would qualify as not smart, but genius … and a very stable genius at that!” You can’t make these things up. “It’s a gut punch,” Sasha’s father Scott Matthews told me regarding Sasha’s cartoon. He pointed out that many of the children currently in detention centers—where there are reports of jail-like conditions and cages—are similar in age to Sasha. As reported by the AP, even babies and toddlers are being kept in “tender age” shelters away from their families under the policies this “genius” and his hardline administration put into place. The New York Times reports that since the “zero tolerance” policy was adopted last month, it is estimated that more than 2,300 children have been separated from their parents. Though Trump just backpedaled in the face of a massive public outcry and appeared to sign an executive order late on Wednesday that would halt family separation—but still detain families with “zero tolerance”—it remains unclear how, if ever, many of the children forcibly separated will be reunited with their parents, some of whom have already been deported or detained elsewhere. And you should never believe a thing that comes out of Trump’s White House. If Sasha’s cartoon is painful to look at, and to consider that a 13-year-old is drawing it about her country enacting this kind of cruelty on vulnerable young people, it should be. – Briefly features a Mara sister (+40 but no offense to Kate, it would be more points if they got Rooney). Before looking what would be your bet for the #1 Gayest Marvel Film? How would your ranking of Marvel gay movies go? In our Era of Perpetual Reboots, there is one revived franchise that already proved itself worthy: extending the Rocky universe to feature Apollo Creed’s son in the form of Michael B. Jordan. Back in 2015, Jordan and his frequent collaborator, Black Panther director Ryan Coogler, made their joint magic happen with Creed. Co-written by Coogler and earning Sylvester Stallone’s aging Rocky Balboa an Oscar nomination for Best Supporting Actor, the movie was a critical and box office hit. It’s no surprise that we’re here watching the promising trailer for Creed II. This time around the movie is directed by Stephen Caple Jr. (The Land), produced by Coogler, written by Stallone, and sees the return of the always-charismatic Jordan as Adonis Creed, my girlfriend and yours Tessa Thompson as his lady Bianca, forever Rocky Sylvester Stallone, and the great Phylicia Rashad as Creed’s mother Mary Anne. Creed can be seen in intense training (including a stunning underwater boxing scene) for a fight against the son of Ivan Drago, Viktor Drago. The brutal Ivan Drago was the competition in Rocky IV, delivering the fatal punch that killed Creed’s father (Rocky’s old opponent and later good friend), Apollo. So there is a lot of pathos around this match. To say the least. “Your dad killed my dad” is a hugely dramatic scenario to set up this movie, and we also see Creed struggling with problems that plagued his mentor Rocky, like how to balance his ambition and the danger of boxing with his growing family life. I would see this movie for Jordan and Thompson alone, but I’m also a fan of the Rocky franchise and what they did with Creed. What do you think? Is Scarlett getting her dancing shoes on? Scarlett Moffatt is no stranger to reality TV – it’s where she first found fame, after all – and now fans think she’s just given a major hint that she’s taking part in Strictly Come Dancing! The former Gogglebox favourite set tongues wagging on Wednesday when she started reminiscing about her past forays into dancing, having previously competed in professional competitions as a teenager. I miss dancing so much can’t believe it’s been nearly 7 years since I put my Latin shoes on!! This quickly led her followers to speculate whether the TV star is actually hinting that she’s getting the sequins on again for the upcoming series of Strictly. ‘Are you hinting for strictly ?? ?’ one added. Scarlett didn’t react to the messages but it’s not the first time she’s been linked with the hit BBC dancing show. In fact the I’m A Celebrity winner has previously claimed that she was once offered the chance to take part in Strictly but turned it down so that she could remain on Gogglebox. Scarlett also pondered in her book Scarlett Says whether she’s actually TOO experienced to be a contestant. ‘I’d love to go on Strictly but I just don’t think they’d let me on. I’m basically a ringer, as I’ve danced against some of the professionals in competitions when I was younger,’ she explained. Ah well, we can but hope to see Ms Moffatt on the Strictly dance floor one day! The post Ooh! Fans think Scarlett Moffatt just dropped a BIG hint that she’s doing Strictly Come Dancing appeared first on CelebsNow. Kim Kardashian is no stranger to controversy and now a fierce debate has broken out over new pictures of her daughter North. The reality star got fans talking this week when her five-year-old girl – who has naturally curly locks – was seen sporting straightened hair as they stepped out in New York. 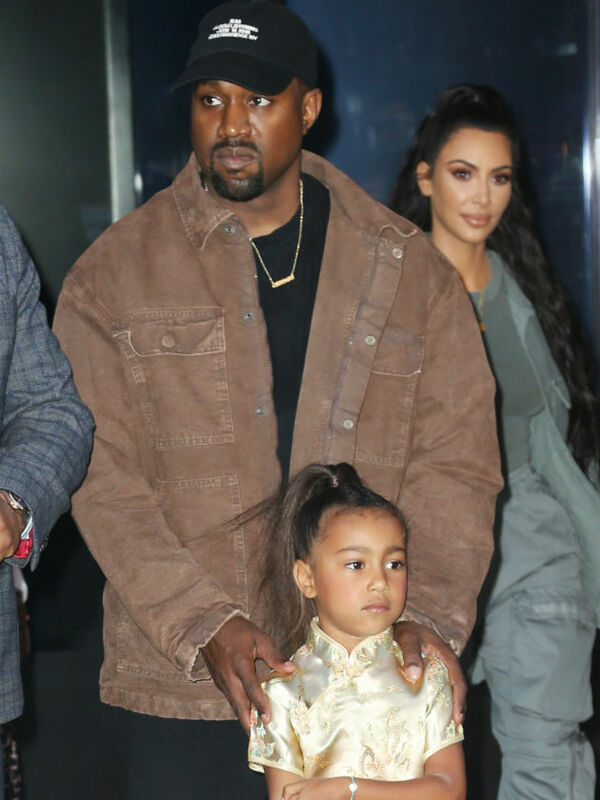 North teamed her new hairdo with some sassy sunglasses and a pretty skirt and also tried out a high ponytail for an outing with Kim and dad Kanye West. Whilst the little one – who was celebrating her birthday on the day the snaps were taken – seemed happy with her mane, fans were left concerned by the pictures and many hit out at Kim, 37, for changing her daughter’s tresses. 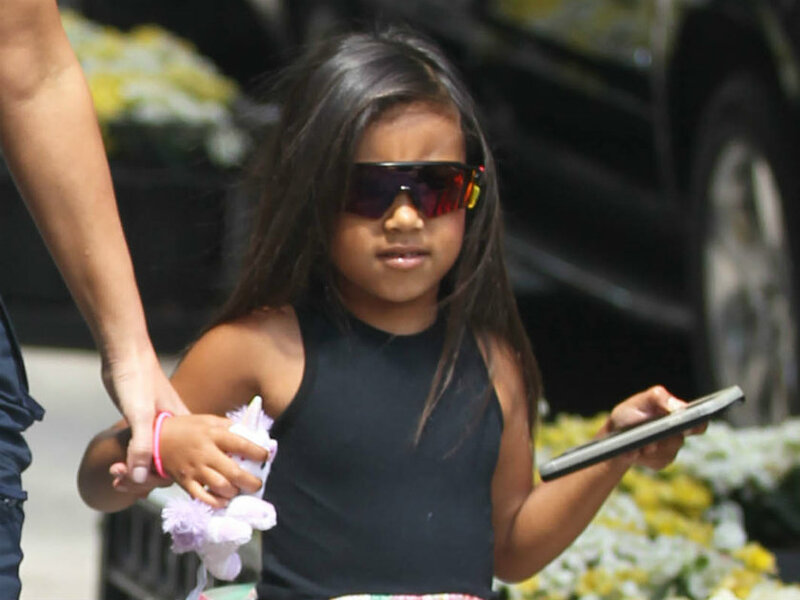 Others admitted they were worried about how straightening could affect the condition of North’s hair. ‘I hope Kim doesn’t straighten her hair too much and ruin her curls y’all,’ one social media user posted. However, some fans have come to Kim’s defence over Nori’s new look. 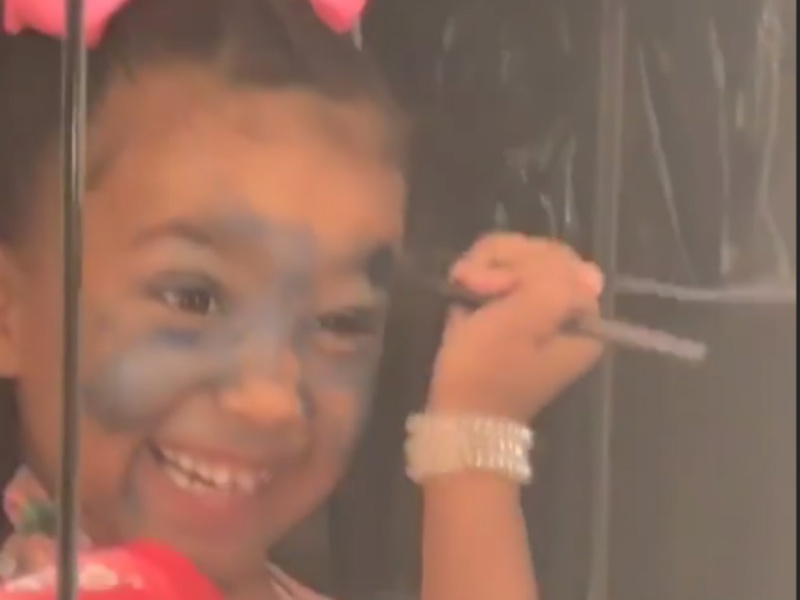 Straightened hair or not, it looks like North is already taking after her mum when it comes to enjoying trying make-up out. 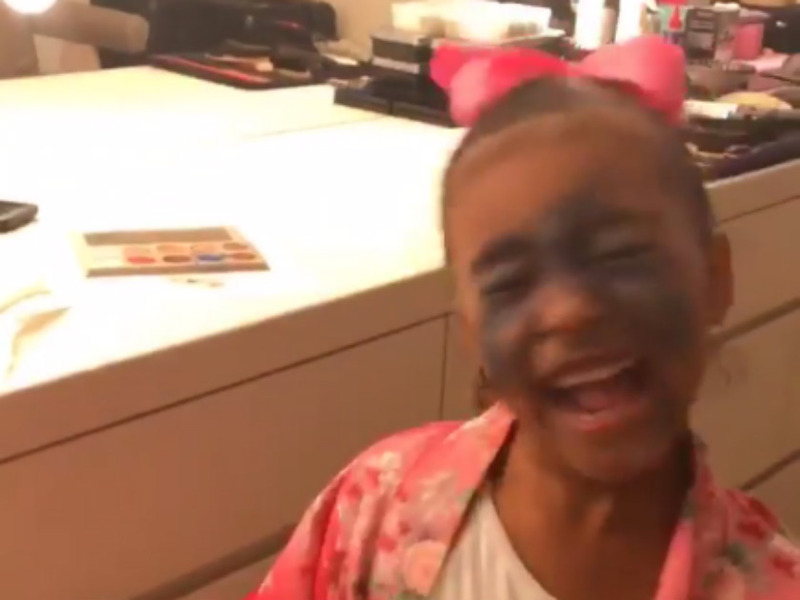 Kim couldn’t help but laugh as she filmed Nori applying eye shadow all over her face on Tuesday. ‘That’s not how you put on eye shadow!’ the TV star told her daughter. Well it’s certainly an experimental look, right? The post Kim Kardashian sparks outrage from fans over THESE photos of North appeared first on CelebsNow. 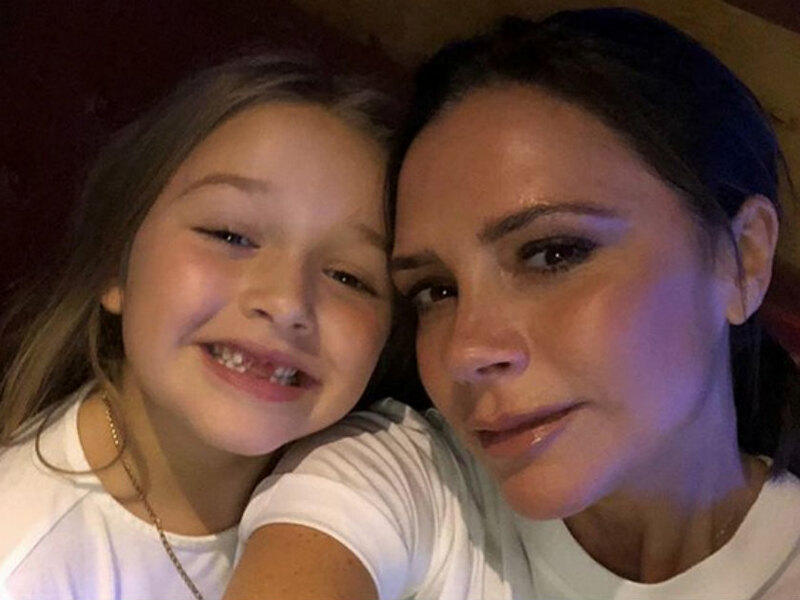 Victoria Beckham has given an insight into her marriage to husband David after they denied shock divorce rumours earlier this month and admits she tries ‘really hard’ to be a good wife. The fashion designer opened up about her relationship and how she juggles work commitments with being a mum-of-four at the Forbes Women’s Summit on Tuesday and praised David for helping her to manage it all. Victoria – who stood out in a summery pink dress at the event – confessed that she makes a huge effort to spend quality time with David, 43, as well as their four kids Brooklyn, 19, Romeo, 15, Cruz, 13, and Harper, 6. ‘I try really, really hard. I try hardest to be the best mother,’ the Spice Girl revealed. During the chat Victoria explained that she wants to ‘empower women’ through her work and is trying to pass this on to daughter Harper. It comes nearly two weeks after Victoria and David – who have been married for nearly 19 years – strongly denied speculation that their relationship could be on the rocks. In a statement released to the team at CelebsNow, the Beckhams’ publicist explained that the rumours were nothing but ‘journalist Chinese whispers and fake news fuelled by social media’. They also branded the gossip ‘nonsense’. 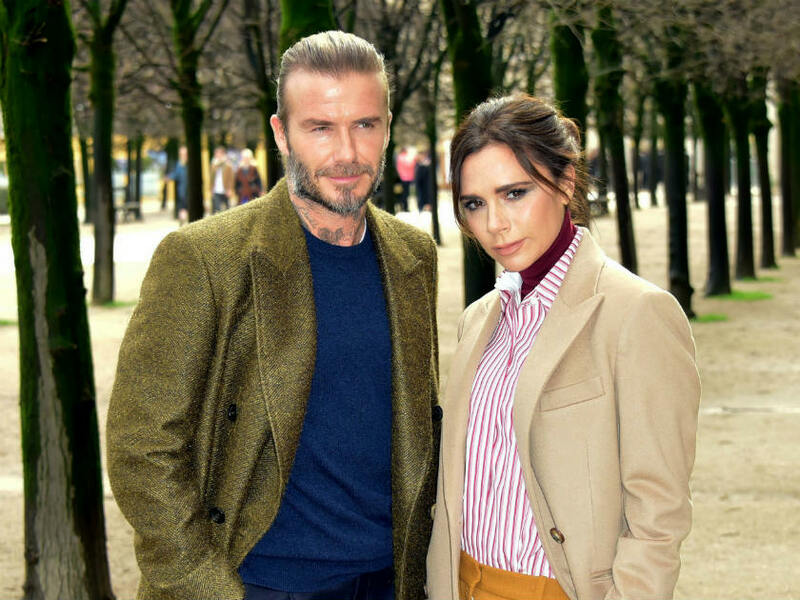 The post Victoria Beckham opens up about trying to be the ‘best wife’ to David after divorce rumours appeared first on CelebsNow. Eek! Which Love Island 2018 star did Holly Willoughby just admit she ‘hates’? We don’t know about you but Love Island 2018 is proving to be one of the biggest talking points in our lives right now – and it turns out Holly Willoughby feels just as strongly about it too. 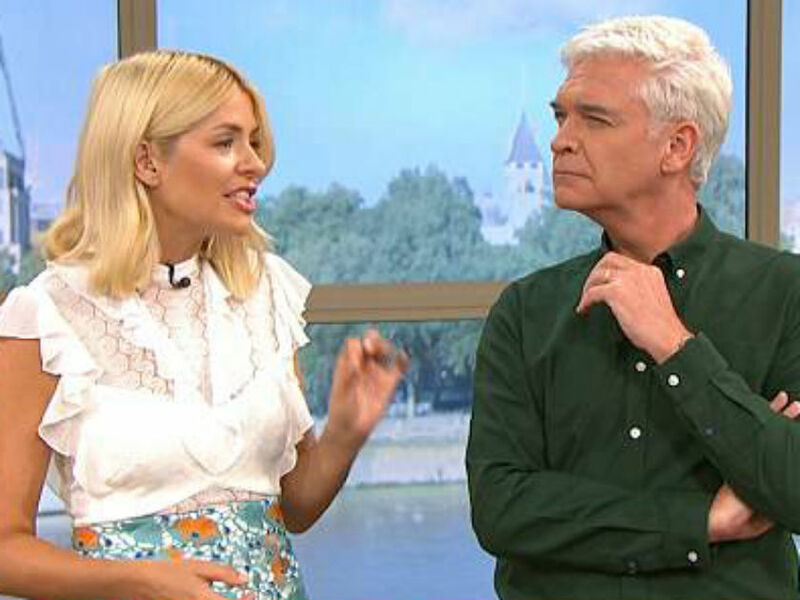 The presenter didn’t hold back as she discussed the series on Wednesday’s This Morning and SLAMMED Adam Collard for the way he’s treated love interest Rosie Williams. 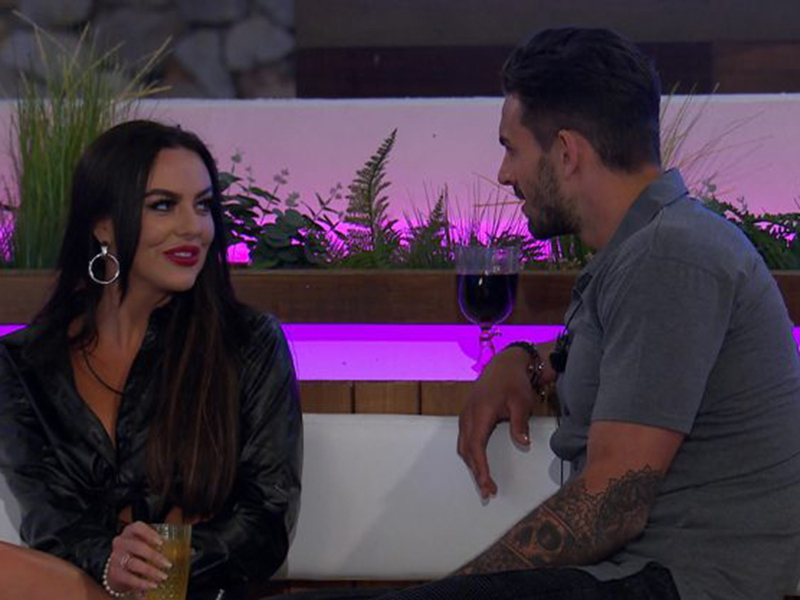 In case you missed it, Adam left Rosie in tears when he dumped her after confirming that he’s interested in pursuing new girl Zara McDermott instead. This came just days after the pair became the first to get intimate between the sheets. Adam’s behaviour angered many viewers and Holly, 37, made it clear that she was FURIOUS about it. ‘We could all see it coming. But what I don’t like is that he didn’t face it,’ the mum-of-three explained. 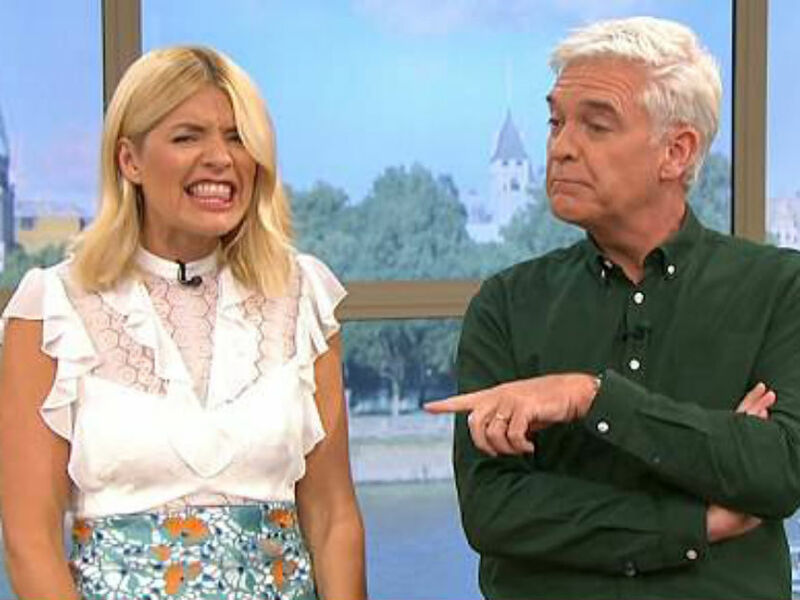 Holly and co-host Phillip Schofield went on to discuss the scandal surrounding Adam’s family after a fake Twitter account posted a message suggesting they weren’t happy with how he’s been acting. ‘Even us at home really don’t agree with what Adam’s been doing in the house. Actually feel sorry for Rosie. No remorse. Family’s not happy with his actions,’ the message read. However, a post on his verified Instagram account has confirmed that these words hadn’t come from them. ‘We have NOT issued this and would NOT condone these comments at all! Say what you will this as a reality game show!’ the message read. This led Holly to encourage the family to come on This Morning and reveal their true thoughts on Adam’s behaviour. Well THAT would be interesting! The post Eek! Which Love Island 2018 star did Holly Willoughby just admit she ‘hates’? appeared first on CelebsNow. We think she’s doing a great job! Sharing another series of sweet photos from their trip, these two looked more loved up than ever. Kate Wright has been dating Rio Ferdinand for over a year now, and she seems to have adjusted really well to life as a stepmum to his three children. The two started their relationship two years after the sportsman lost his wife to cancer, and they have since moved in together. Speaking about her life as a stepmum to Rio’s children – Tia, Lorenz and Tate – the former TOWIE star admitted that it’s a challenging role, but that she can’t imagine her life without them. ‘It is challenging but it’s just as amazing. It was always going to be a hard job, it was never going to be easy but I love it and I couldn’t imagine life without the three children’, she told Mail Online. The 27-year-old also opened up about how her and the children are coping with Rio’s absence, now that he’s away in Russia for the World Cup. ‘I’m with the kids on my own and obviously we miss him but we’re having a nice time just us four as well’, she said. Speaking about their daily routine as a family, Kate said she enjoys a early night and goes to bed after the children, but she’s up for 6am – just in time for the school run. ‘I like to go to bed early, it sounds ridiculous but I’m like a granny! I’m asleep by 9pm but I am up at 6am. ‘We have dinner, do homework, a bit of fun time, then the kids go to bed, I go to bed. I like to wash my hair in the morning so the Panasonic is great as I just blow-dry, give it a quick straighten and then get up and give the kids breakfast…’, she said. Recently the 39-year-old has revealed that his children have asked him to have babies with Kate, and the pair have also discussed wedding plans. Speaking to the Daily Star, he admitted they will indeed tie the knot in the future, but haven’t decided when. The post ‘It is challenging’: Kate Wright opens up about being a stepmum to Rio’s children appeared first on CelebsNow.